Father’s Day is on Sunday and if you are looking for last minute drink recipes or gift ideas, I’ve got you covered this Thirsty Thursday. The weather is going to be AWESOME here in Pittsburgh, so if you plan to do a little BBQing, here are some sippers for Sunday. I tried to find a base spirit that dad would enjoy simple (i.e. with some Ginger or Cola) and some recipes for the ladies to enjoy too. That way, you only need to buy one bottle and can please everyone with the cocktails! 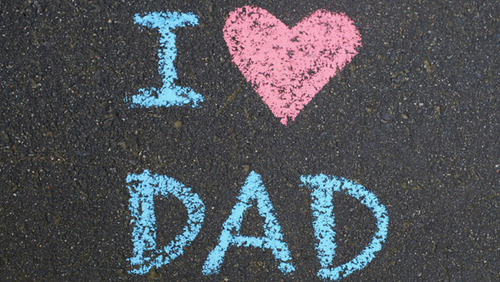 · My dad’s favorite spirit of the moment is Crown Royal. He drinks his with some Ginger Ale, but that’s a little too manly for me. TheBar.com, a site run by the makers of Crown, have some more girl-friendly recipes like Crown Royal Black and Raspberry, Pomegranate and Crown, Royal Stretch, and Crown of Roses. 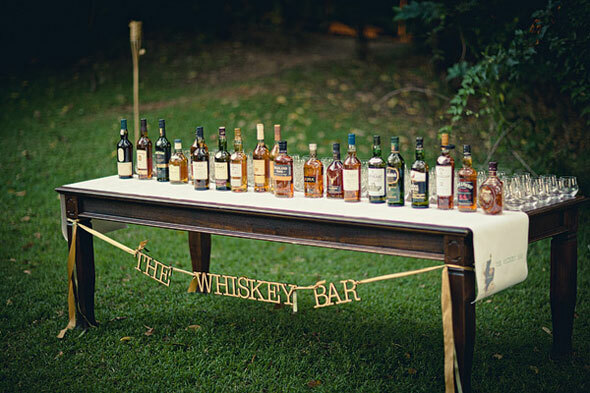 This is a pretty crazy idea, but if you are having a big party, why not pull inspiration from a wedding featured on The Loveliest Day and create a Whiskey Bar. You and your family can taste different blends to figure out which one you may like best or at all! Bourbon is such a dad spirit, and they tend to keep it on hand. So a way to girly that up is this Fancy Bourbon Punch (yes, the name Fancy is in the title). For dessert, how about a little Beerimisiu from Serious Eats. It would make any Irish-Italian man happy! Don’t underestimate the power of the alcohol store for last minute gift ideas! Think Three Wise Men: Does your dad like Jim Beam, Jack Daniels or Johnnie Walker? Stick with an original bottle of that OR try a new flavor or more expensive bottle from the line. One Word: Beer. Craft beers are so popular right now. Mini Me: Not sure what your dad likes to drink? Or does Daddy drink a lot? Buy him a variety of mini’s! Cubans & Rum: Think Havana Nights. Go for some sugars, rum and a Cuban shirt! Seriously, screw Macy’s. For last minute gifts, the liquor store has a lot of possibilities! Oh and if you aren't around your dad this year and you are looking for a boozy gift - just get wasted a drunk dial him. Bonus points if you sing him a song or preform a poem while intoxicated!